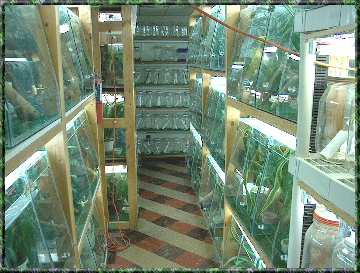 These are custom made glass cages for breeding Day Geckos (Phelsuma) and other arboreal species. 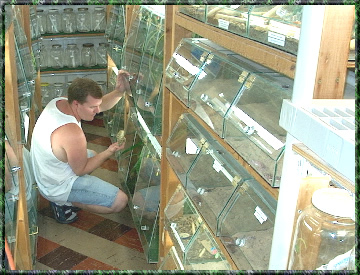 These are custom glass cages designed for terrestrial geckos on the right side of the photo, and Larry helping an R. leachianus with a shedding problem. 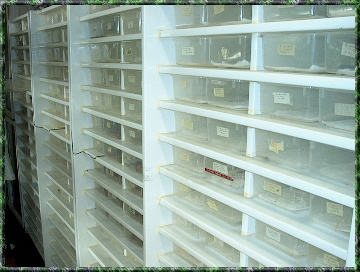 Shoebox racks by Habitat Systems. 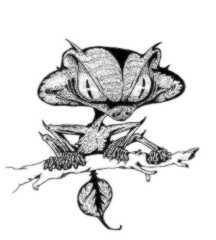 These house most of our juvenile and hatchling geckos. 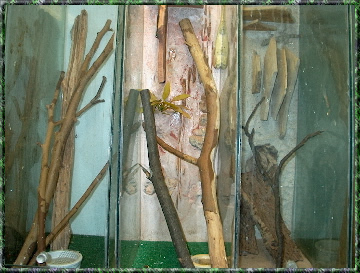 These are extra tall glass cages made for larger species such as Ailuronyx, Rhacodactylus, and Gehyra vorax.